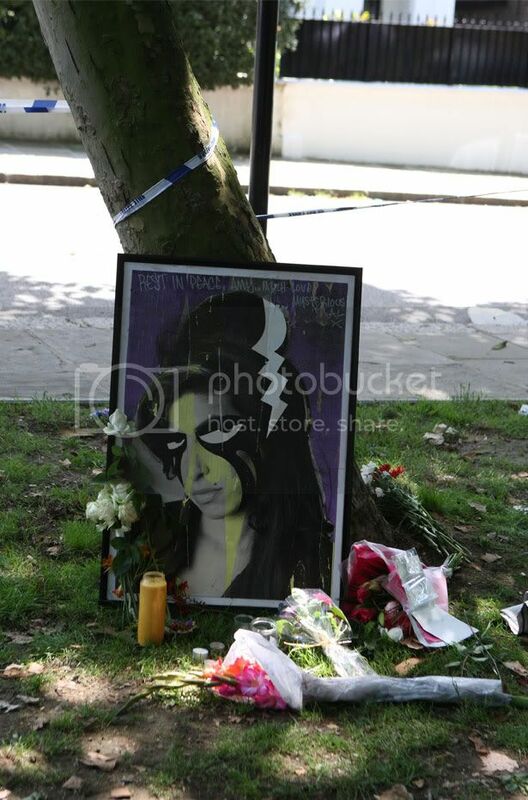 Fans and family of Amy Winehouse have been paying tribute to the singer outside the London flat where she was found dead two days ago. 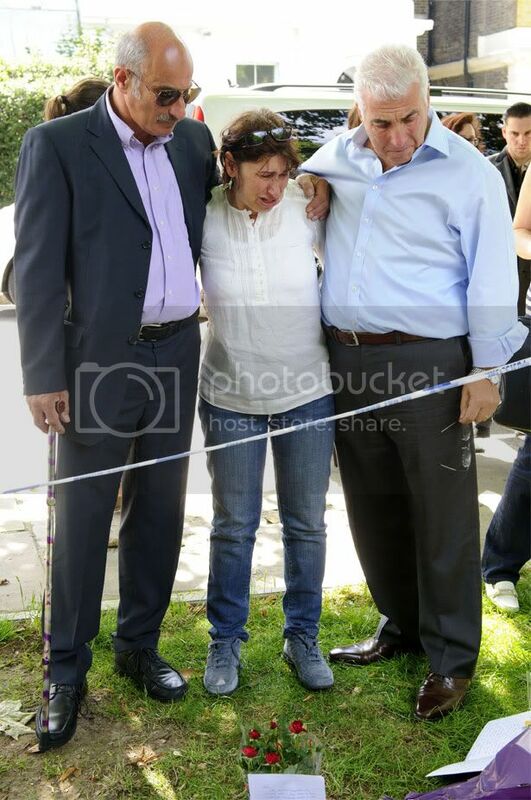 Today (25 July) Amy's father Mitch, mother Janis and brother Alex paid a visit to the scene in Camden (below), and thanked mourners who had been laying flowers and tributes. All three were visibly distressed as they looked at the handwritten messages, candles and floral tributes that had been left in memory of Amy, who died at the age of 27. 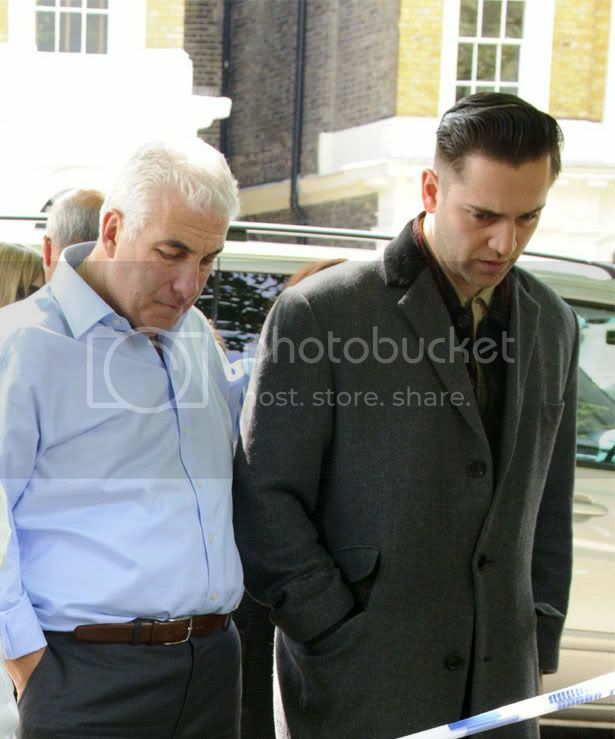 The singer's on-off boyfriend, director Reg Traviss, accompanied the family. Mitch Winehouse spoke to some of those who had left notes for the Grammy award-winning star, saying, "This means so much to my family." "I can't tell you what this means to us – it really is making this a lot easier for us," he went on. 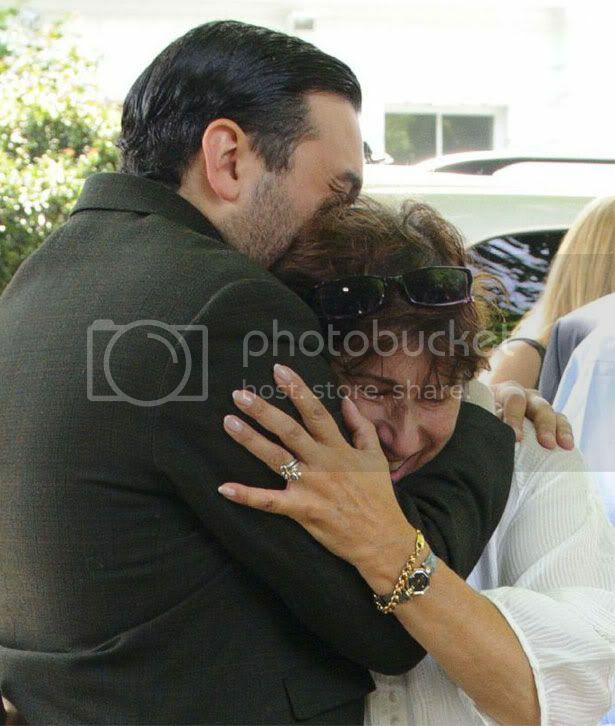 "Amy was about one thing and that was love, her whole life was devoted to her family and her friends and to you guys as well. We're devastated and I'm speechless but thanks for coming." Appearing to address reporters, he added, "You've got to do what you've got to do. I know a lot of you, we've been together for five, six years, I know you've got a job to do. I'm glad you're all here anyway." An earlier statement from the family said they had been left "bereft" by the loss of "a wonderful daughter, sister, niece," adding, "She leaves a gaping hole in our lives." Paramedics arrived at Amy's flat at around 4pm on Saturday and pronounced her dead at the scene. Her death is being treated as unexplained with a post-mortem due later today. 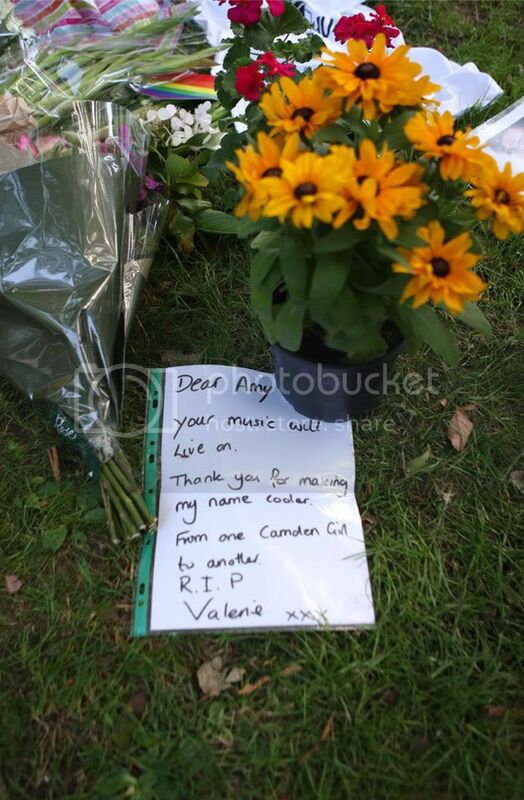 See the heartfelt tributes left to Amy below. You can also read about tributes made to her on Twitter or look back on her life in pictures.